MUMBAI: Inspired by Prime Minister Narendra Modi's 'Swatchata Abhiyan' or 'Clean India Campaign students of the renowned RBK International Academy, Chembur took up an initiative to clean up the two patches of roads near their school as a part of their CAS activity. The students of grades 6, 7 and 8 along with their home room teachers and CAS teachers participated in the one day clean-up drive. 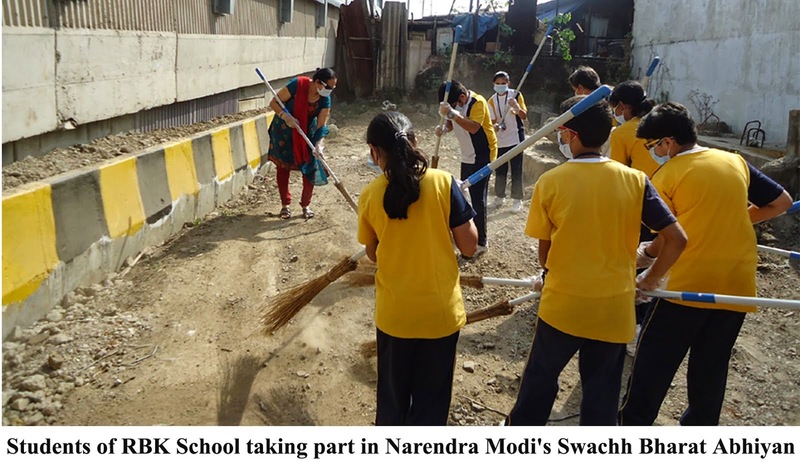 "The whole team of our young children who are the responsible citizens of tomorrow were filled with gusto and seriously got into cleaning mode without any pranks or fun during their activity period," said Management Representative, Dr. Arundhati Hoskeri. The students were provided with disposable gloves, masks and brooms with long handles for the clean-up drive. The school had also taken due consent from the parents who were happy with the school for such an initiative. "Our children who I'm sure have not touched brooms at home, cleaned the roads without any fuss," observed Dr. Hoskeri. 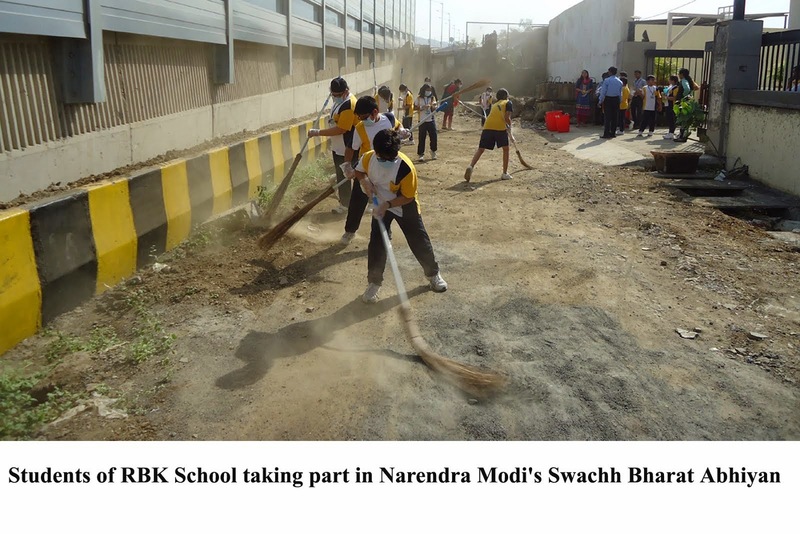 It was a great experience for the students as well as the teachers to clean up the streets and be a part of the 'Swatchata Abhiyan'. "Well when these kids were out in hot sun, my conscience did not permit me to sit in my AC cabin... I just wanted to be with them... practice before I preached," concluded Dr. Hoskeri. It was a shining example of dignity of labour in action, the principles of which RBKIA inculcate and instil in their students. A first step to a more glorious nation! 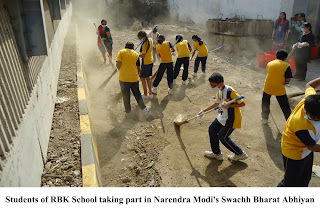 RBK Educational Institutions run by Babubhai Kanakia Foundation has earned a distinct reputation as one of Mumbai's premiere educational institution having schools at Mira Road, Chembur and Bhayander. Recently they have expanded their operations to Mahuva and Navasari in Gujarat, where they have established full-fledged English Medium Schools. 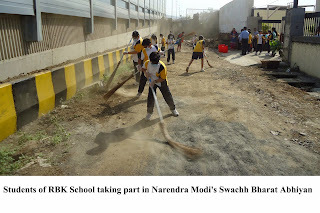 No Comment to " RBK International Academy, Chembur observes Swatchata Abhiyan "